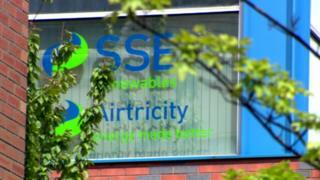 The Northern Ireland Utility Regulator has begun an investigation into SSE Airtricity. SSE is the second biggest supplier of electricity to households in Northern Ireland and the biggest gas supplier in greater Belfast. The investigation is focusing on SSE's treatment of customers in areas such as billing and handling complaints. Opening an investigation "does not imply any findings about non-compliance have been made", the regulator said. The investigation of the gas supply business is looking at 10 different sections of SSE's regulatory requirements. The inquiry into the electricity business is examining 16 issues. In a statement, the company said: "SSE Airtricity acknowledges today's announcement by the Utility Regulator of separate investigations into its electricity and gas supply businesses in Northern Ireland. "The larger part of the potential issues under investigation were proactively self-reported by SSE Airtricity. "SSE Airtricity is co-operating fully with the UR regulator will be providing all requested information as part of our ongoing engagement with the authority." John French, chief executive of the Consumer Council said: "We welcome the publication of the Utility Regulator's plan to investigate SSE Airtricity. "The Consumer Council believe that a clear and transparent approach to enforcement can act as a strong deterrent to the gas and electricity industry, providing consumers with appropriate protection in the event of companies breaching their licence. "Transparency is important in all aspects of energy policy, especially when consumers are impacted". If the regulator finds that a regulated company has breached the terms of its licence it can impose fines. If a company does not comply with with enforcement action it can ultimately be stripped of its operating licence.